As I mentioned in my last post the new Holiday Catalogue is now available. I haven't had a lot of time to play with my products but I wanted to share some amazing creations made by some friends. First a stunning card made by Elaine Paget. 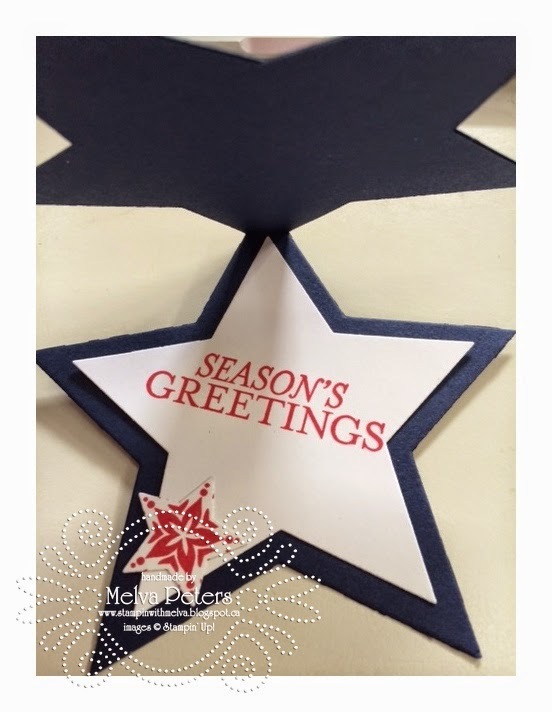 Elaine has used the Bright and Beautiful stamp set (Item 135029) and coordinating Star framelits (Item 133723) to make this card. Purchase the bundle and save 15% (Item 138200) I love it! 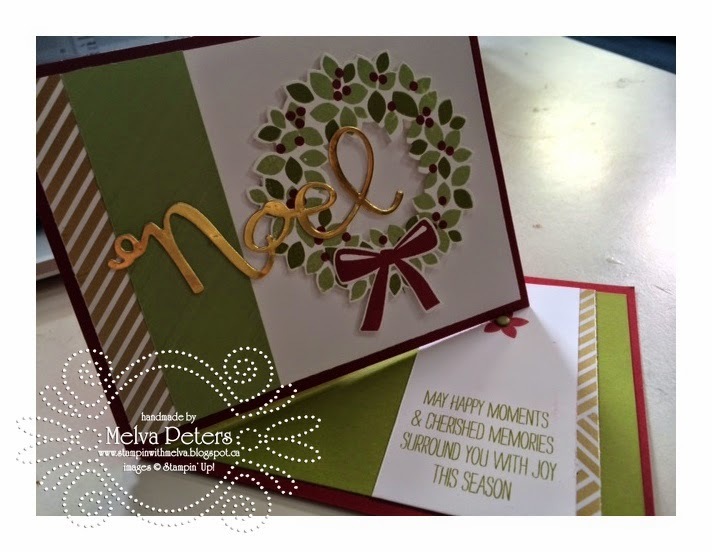 Here's a card created by Ginny Duncan using the Seasonally Scattered stamp set (Item 135023). It's hard to see the glitter she added. I love the colours she's chosen - Lost Lagoon paired with Pear Pizazz. 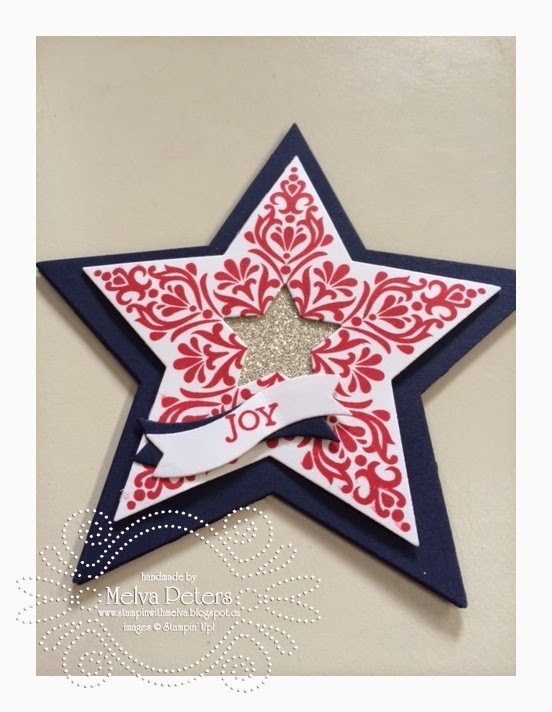 Finally a twisted easel card made by Jenn Tinline using the Wonderous Wreath stamp set (Item 135047) and coordinating framelits (Item 135851). 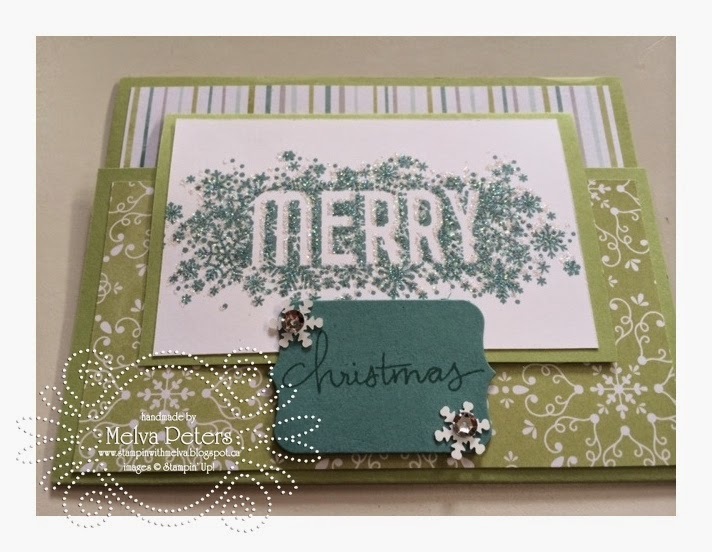 You can purchase both the stamp set and framelits as a bundle and save 15% (Item 137624). If you haven't received your Holiday Catalogue, email me and I'll send one to you. I'm booking stamping parties now for the fall. If you want to gather some of your friends and play with some of the fabulous new products email me and well find a date that works. Hold a party with $325 in sales between now and October 31 and you'll receive the Good Greetings stamp set FREE!